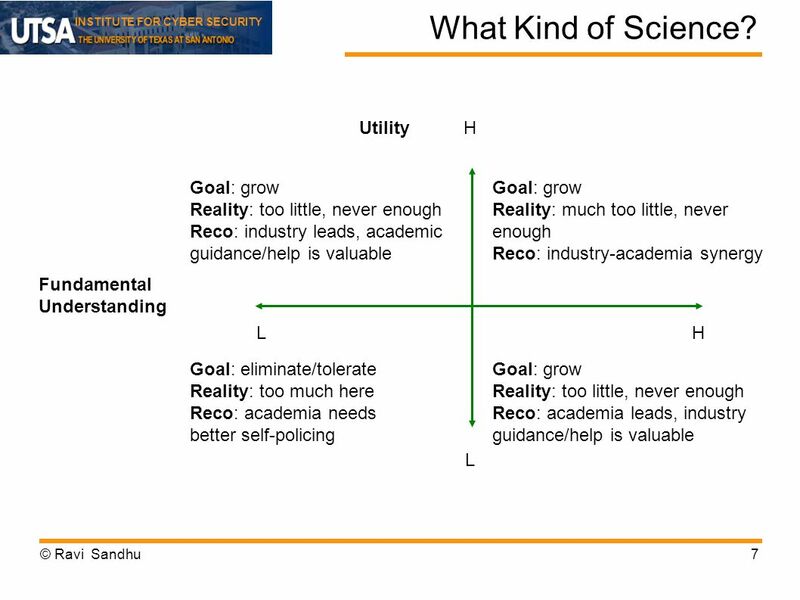 INSTITUTE FOR CYBER SECURITY 1 Industry-Academia Research Synergy: Fantasy or Reality? Ravi Sandhu Executive Director and Endowed Professor Institute for. 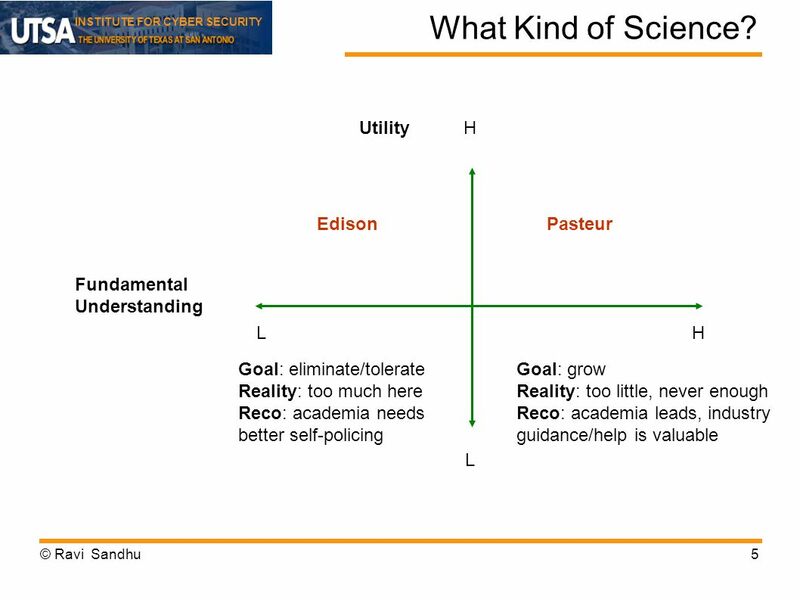 Download ppt "INSTITUTE FOR CYBER SECURITY 1 Industry-Academia Research Synergy: Fantasy or Reality? Ravi Sandhu Executive Director and Endowed Professor Institute for." INSTITUTE FOR CYBER SECURITY 1 Trusted Computing Models Prof. Ravi Sandhu Executive Director and Endowed Chair Institute for Cyber Security University. 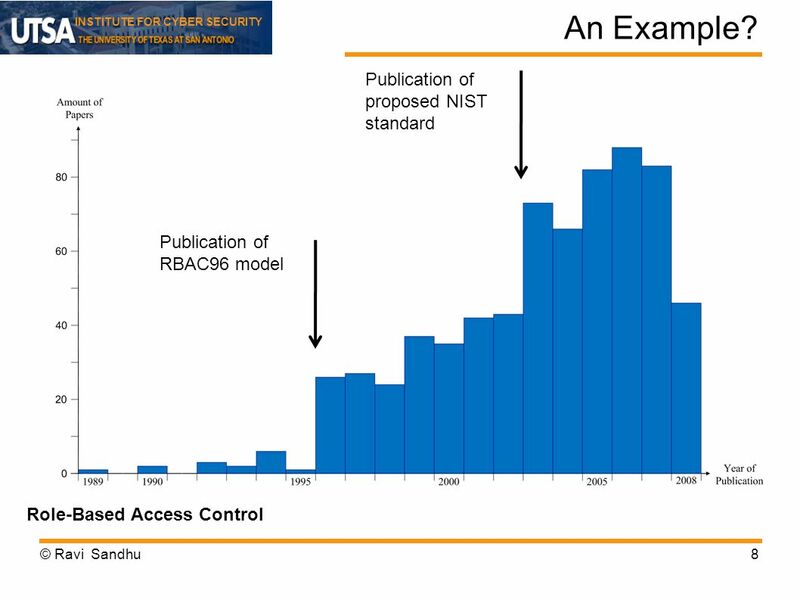 INSTITUTE FOR CYBER SECURITY 1 The ASCAA * Principles Applied to Usage Control Prof. Ravi Sandhu Executive Director and Endowed Chair Institute for Cyber. 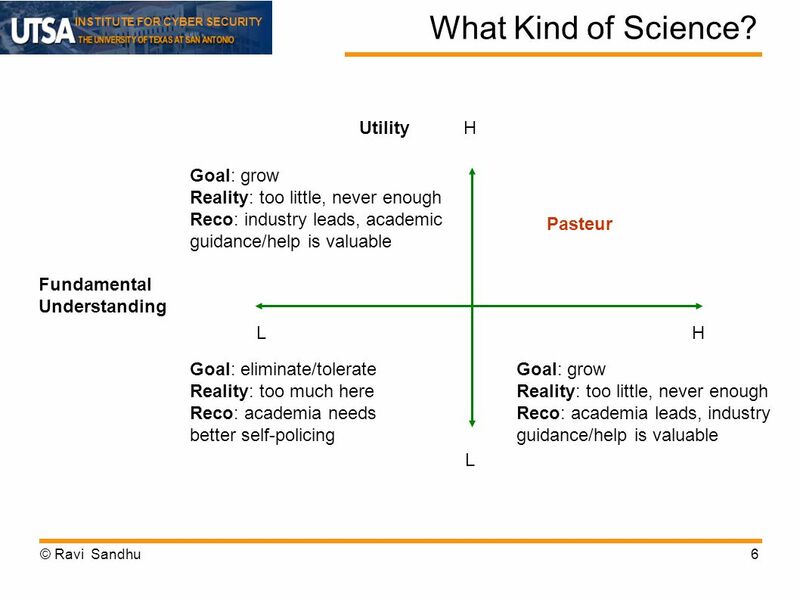 INSTITUTE FOR CYBER SECURITY 1 Application-Centric Security: How to Get There Prof. Ravi Sandhu Executive Director and Endowed Chair Institute for Cyber. 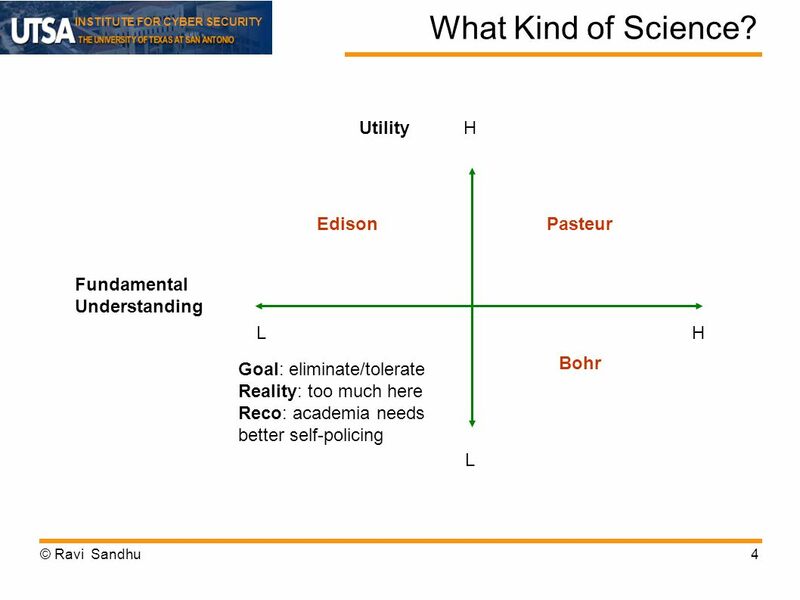 INSTITUTE FOR CYBER SECURITY 1 Cyber Security: What You Need to Know Prof. Ravi Sandhu Executive Director and Chief Scientist Institute for Cyber Security. The Future: Evolution of the Technology Ravi Sandhu Chief Scientist TriCipher, Inc. Los Gatos, California Executive Director and Chaired Professor Institute. 1 Speculations on the Future of Cyber Security in 2025 Prof. Ravi Sandhu Executive Director and Chief Scientist Institute for Cyber Security University. 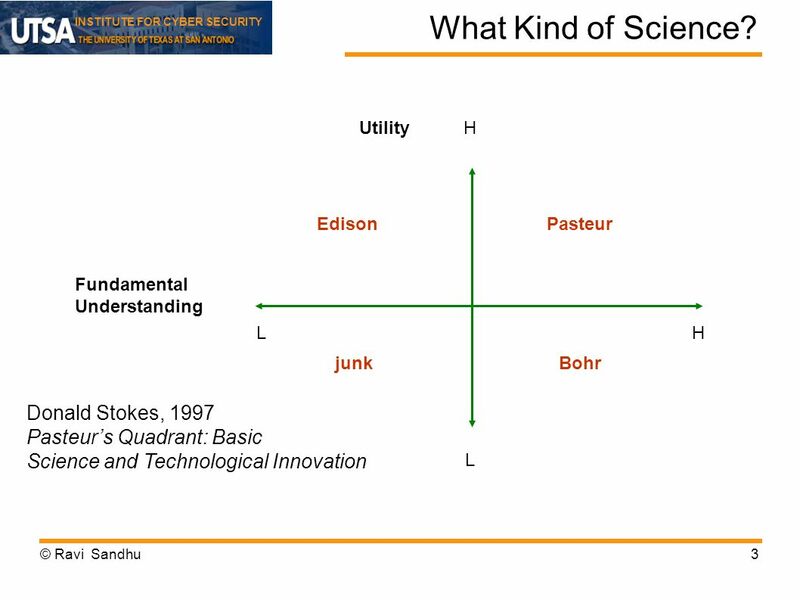 INSTITUTE FOR CYBER SECURITY 1 The PEI + UCON Framework for Application Security Prof. Ravi Sandhu Executive Director and Endowed Chair Institute for Cyber. Sandhus Laws of Cyber Security Prof. Ravi Sandhu Executive Director and Endowed Chair Institute for Cyber Security University of Texas at San Antonio Chief. 1 The Future of Cyber Security Prof. Ravi Sandhu Executive Director February © Ravi Sandhu. Secure Cyber Incident Information Sharing UTSA Team Leads Dr. Ram Krishnan, Assistant Professor, ECE Dr. Ravi Sandhu, Professor (CS) and Executive Director.